Winklepickers are a decadent, downright underground style of shoe or boot worn initially by Teddy Boys in the 1950’s and rock and roll fans. 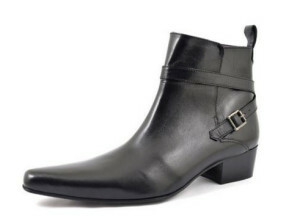 The main characteristic of the shoe as a winklepicker is its very sharp and long pointed toe. Imagine you are at the seaside having a traditional snack of periwinkles and you are picking the winkle out of its coiled shell with a long sharp pin and you get the point. Winklepickers were initially inspired by the ‘stylish’ 15th century shoe called a Crakow (yes, from Krakow Poland), which was often worn by the medieval French nobility. To create these, the extra-long toe had to be held up using either a whalebone – which was also used for boning corsets – or by ribbons that were tied onto the tip of the shoe and then tied around the knee! Check out the image below and you get why: the tips of the crakow averaged about two feet long. What the male nobility did for fashion and status back in those days is something else! And it was all about status: the longer the toe, the higher your standing. Not that you could walk very far. Fascinating stuff for shoe addicts who can see more of their history at Medievalists. Fast forward a couple of centuries to the 1960s and this shoe became most popular with the modernists, who would soon become known as the uber cool ‘mods’. Now by then the point was not 2 feet long (obviously) but still, there was a much longer toe than traditional shoes. A show of defiance and anti-establishment cemented by the rock and roll legends of the day like the Stones and the Beatles is why underground scenes embraced the winkle picker. Let’s face it, they did look a little menacing in the face of bowler hats and Oxford shoes. As in every decade, fashions morph and change and the toe was adapted to the ‘chisel toe’ boot as the points were essentially squared off for a more 70s vibe. But sure enough, the winklepicker made a full comeback in the 70s and 80s – these were previous unworn stock, vintage and second-hand originals of the iconic shoe. Think punk and goth and you can see by now, how several subculture groups were fans of this style of shoe or boot, all threading a more subversive counter culture. The media began to quote the use of winklepickers being worn in gang fights and as a result they gained some notoriety. Yet you must question how true these media stories were as the winklepicker may look lethal and a reasonably good weapon for a fight, it’s much more likely that the delicate shoes would suffer more damage! By the 2000s, various forms of winklepickers were worn by Indie and Rock bands amongst others. People would dress them with 1960’s style mod blazers, vintage t-shirts and shirts, and skin-tight ripped jeans. Indie pop bands and musicians such as The Klaxons, Kaiser Chiefs, Kings of Leon, The Horrors and Jack White were known to sport this look, modernising it again. You may also recognise the likes of British comedians Russell Brand and Noel Fielding wearing them too! 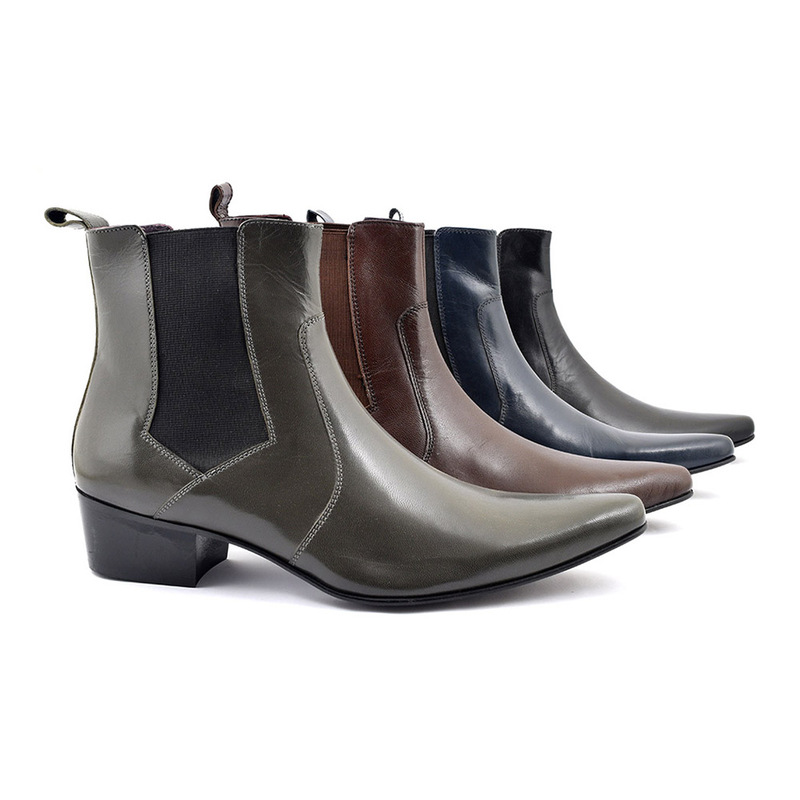 They always have a point…..
To buy this very cool style of boot you can shop here.